Virginia reports on identity and justice for 90.5 WESA. That means looking at how people see themselves in the community, and how the community makes them feel. Her reporting examines things like race, policing, and housing to tell the stories of folks we often don't hear from. A native of Las Vegas, NV, Virginia has slowly been making her way eastward, reporting for NPR stations across the country. She started her reporting career at the statehouse in Oregon, and has had stints in Indiana and Texas before moving to Pittsburgh in 2016. Virginia lives in Brookline with her husband, baby boy and fat cat Bean. They enjoy exploring Pittsburgh's neighborhoods, and hiking throughout the region, although they usually leave Bean at home. A health and wellness fair in downtown Pittsburgh this weekend aims to connect the immigrant and refugee communities with service providers. The Catholic Diocese of Erie launched its victims’ compensation fund Friday for people who were sexually abused by clergy and others associated with the church. Plans for the fund were announced in December. The Independent Survivors’ Reparation Program will be open until August 15, 2019, and the website to file claims is now live. Millions of dollars to support the Jewish community have been donated since October’s Tree of Life synagogue shooting. The fourth annual Pittsburgh Humanities Festival will feature artists, academics, and influencers this spring. A leader, an old soul and a “laid-back kid” are how Jonathan Freeman’s family remembers him. The 16-year-old was fatally shot at a friend’s house in Homewood earlier this month. 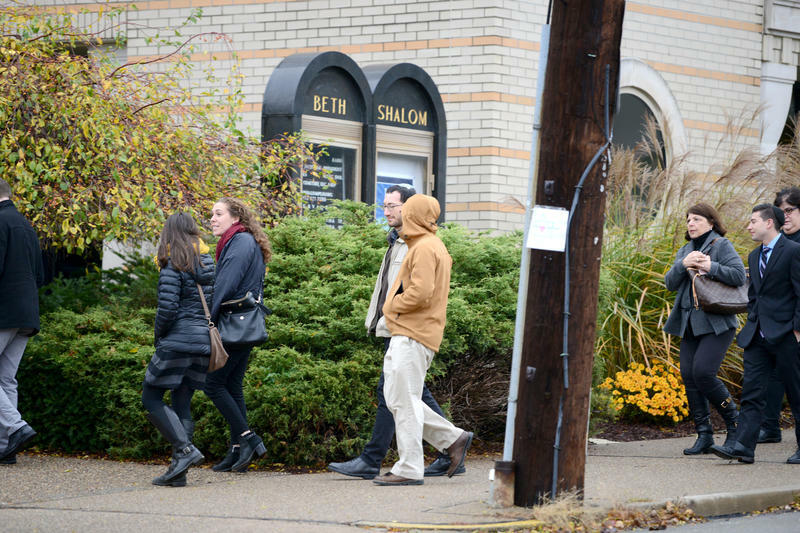 The Jewish Community Center of Greater Pittsburgh is making a significant investment to improve security at all of its locations. Allegheny County residents generally perceive that the quality of life in the region has improved in recent years, according to a new University of Pittsburgh survey. But that perception differs based on who was asked. For mothers who have lost children to gun violence, the holidays can be a particularly difficult time. An event in Pittsburgh will bring some of these grieving women together. The first major allocation of money from the Housing Opportunity Fund was approved Thursday. The loans will go towards more than 200 affordable housing units. The Catholic Diocese of Pittsburgh announced a program Thursday to compensate victims of clergy sexual abuse. An amendment passed Wednesday by Pittsburgh City Council would partially restore some of the proposed budget for the Urban Redevelopment Authority. Affordable housing activists cried foul when the original draft of the 2019 city budget slashed the URA’s funding by more than $5 million. Latinos in the Pittsburgh Diocese are observing a significant holiday Wednesday. More obstetricians are being hired by Conemaugh Memorial Medical Center in Johnstown, about two hours east of Pittsburgh. Homes in Pittsburgh’s majority black neighborhoods are worth less than comparable homes in white neighborhoods, according to a new study by the Brookings Institution. A new Pittsburgh police substation opened Tuesday in a North Side public housing complex. The 9th annual "Latkepalooza" at Congregation Beth Shalom in Pittsburgh is open to families across the Jewish community. There's plenty of fried food, face painting and carnival-style games. Seventeen-year-old Ariel Holstein runs the putt-putt game. For him, the past five weeks have been intense. He says there was a lot to take in after police say a shooter killed 11 people at the nearby Tree of Life Synagogue in October. A series of listening sessions across the Catholic Diocese of Pittsburgh begins Thursday. Pittsburgh’s Catholic Diocese announced this month that it placed two more priests on administrative leave, following allegations of sexual abuse. Transgender and queer organizers in Pittsburgh are hosting a Thanksgiving dinner for those who may be unwelcome at home.